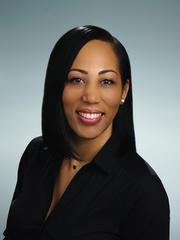 Sequoya Anderson is a licensed REALTOR in South Florida, an active member of The National Association of Realtors, as well as the Greater Ft. Lauderdale and Palm Beach Associations. Sequoya has resided in Broward County for over 25 years, a graduate of Broward College, and has a strong background in Marketing and Finance. She’s passionate about the services she provides and prides herself on being the trusted real estate professional her clients can depend on. Sequoya’s knowledge of the area and the Real Estate Market makes her a valuable member of the PRAG Team. She's the ideal choice when selecting a Realtor to achieve your Real Estate goals whether renting, selling, or buying. When Sequoya’s not working she enjoy’s spending time with her family, attending concerts, and traveling.